Dr. Hasmukh Adhia is an officer of Indian Administrative Service, who retired on 30th November, 2018 as Union Finance Secretary & Revenue Secretary in Government of India. He is at present non-executive Chairman of Bank of Baroda, and also the Chancellor of Central University of Gujarat. He also serves as a member of Board of Governors of Indian Institute of Management Bangalore. 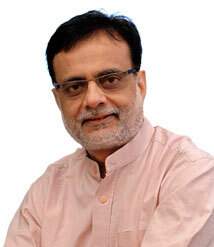 Dr. Hasmukh Adhia has got a basic Post-Graduate degree in Accountancy. He is a Gold medalist from Indian Institute of Management, Bangalore and he holds a Ph.D. in Yoga from Swami Vivekanand Yoga University, Bangalore. 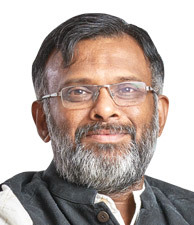 Prior to his posting as Finance Secretary, he was Secretary, Department of Financial Services, Ministry of Finance, Government of India for the period from November, 2014 till August, 2015. 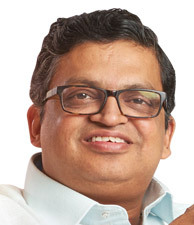 As Secretary, Financial Services, he was credited with many new strategies for banking reforms such as Gyan Sangam and Indra Dhanush as well as social security schemes of Pradhan Mantri Suraksha Bima Yojna, Jivan Jyoti Bima Yojna and Atal Pension Yojna, as also for the scheme of micro-financing of Mudra. As Finance/Revenue Secretary, he was credited with bringing in many tax-friendly initiatives in the Income-Tax as well as Excise Duty and Service Tax. Also he pursued the agenda of GST systematically as a result of which GST was implemented smoothly. He is also known for his relentless drive against the black money. As Secretary (Revenue), he is credited with bringing in many tax-friendly initiatives in the Income-Tax as well as Excise Duty and Service Tax. Also he pursued the agenda of GST systematically as a result of which GST is implemented smoothly. He is also known for his relentless drive against the black money. Prior to posting in the Ministry of Finance, some of the other positions held by him include Principal Secretary to Chief Minister of Gujarat (2003-06), Principal Secretary (Education), Gujarat (2008-13), Additional Chief Secretary (Finance), Gujarat (2013-14), Industries Commissioner, Gujarat (2001-02), Managing Director of Gujarat Industrial Investment Corporation and Gujarat Industrial Development Corporation. 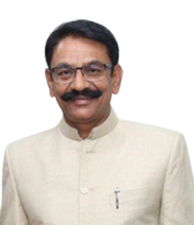 Shri P. S. Jayakumar, 56 years is a Chartered Accountant by qualification and additionally holds a Post Graduate Diploma in Business Management from XLRI Jamshedpur. He also has the distinction of being a Chevening Gurukool Scholar through the London School of Economics and Political Science. 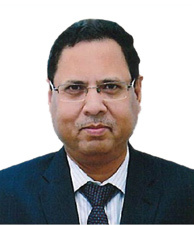 Prior to his appointment as MD & CEO of Bank of Baroda in October 2015, he was the Co-founder and CEO of VBHC Value Budget Housing (VBHC), a leader in housing for low and moderate income household from 2009 to 2015. He was also the Co-founder and Non-Executive Promoter Director for Home First Finance Company (HFFC), a housing finance institution regulated by the NHB, focused on financing customers who are not able to access mortgage loans from the banking sector. Mr. Jayakumar has held diverse assignments while at Citibank such as Treasurer - Consumer Bank, Business Development Head covering deposit and lending business, Managing Director for Citifinancial Ltd, Managing Director and Head of Citibank Consumer Loan for Asia Pacific Countries (covering Indonesia, Philippines, Australia, Hong Kong and Korea), Country Head - Citibank Consumer Business and Head of Balance Sheet Management - Asia Pacific. 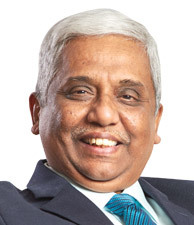 Shri P. S. Jayakumar has also served as a Board Member in many of Citibank’s subsidiaries in India. Shri Shanti Lal Jain is a Post Graduate in Commerce, with Professional Qualification of Chartered Accountant, Company Secretary and CAIIB. Prior to joining Allahabad Bank, he worked in various Industries for about 6 years. 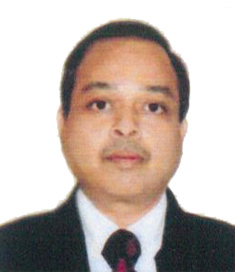 He joined Allahabad Bank in 1993 in Middle Management Grade/Scale-II and reached upto General Manager. He worked in Branches, Zonal Office, Field General Manager Office, Staff College and Head Office. He also worked as Zonal Manager, Agra Zone. He also worked as Chief Financial Officer, Chief Risk Officer and General Manager-IT of the Bank. Prior to joining our Bank, since last one year he held the position of Field General Manger (West) at Mumbai and responsible for Maharastra, Gujarat and Goa Operations having business of around Rs.50000 Crores. Shri V. S. Khichi is an MBA (Finance and Marketing), with Professional Qualifications of CAIIB and Associate in Life Insurance. 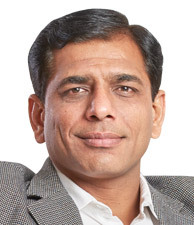 Prior to joining Bank of Baroda, he was working as Field General Manager (Gujarat Operations) in Dena Bank. 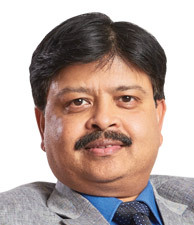 He Joined Dena Bank as Probationary Officer in December' 1985, gradually climbed up the ladder and got promoted as Field General Manager (Gujarat Operations) in May'2015 in Dena Bank. Inculcated blend of operational experience at field level and of planning/policy formulation at Controlling Office during the tenure of 33 years in Dena Bank by serving in varying capacity from being Probationary Officer to General Manager in various Branches & Departments. Acquired enriching experience across the breadth of various key departments such as Retail Banking, Marketing (New Initiative & Product Development), Merchant Banking, Recovery Management, Overseas Business Center etc. Groomed leadership quality while discharging duty as Convenor of State Level Bankers' Committee, Gujarat and collaborated efforts with senior State Govt. officials, top executives from RBI and various Banks, Insurances Co. & different organisations in executing numerous Financial Inclusion initiatives of the Govt. in Gujarat State. Shri Debasish Panda is an officer of Indian Administrative Service of 1987 batch of UP Cadre and belongs to the State of Odisha. He joined the Department of Financial Service on 23rd March, 2018. He is a Post Graduate in Physics, Development Management and obtained M.Phil degree in Environmental Sciences. He has undergone foreign training in Public Administration from USA & Philippines. Joined the Government service in 1987. He held several key posts in the Government of UP, viz. as District Magistrate of Deoria, Tehri, Uttarakashi & Ghaziabad Districts and Principal Secretary (Home & General Admn.). He also served the Government of India in the capacity of Joint Secretary (Health & FW) and as Deputy Director (Admn.) in AIIMS. Before joining as Additional Secretary in the Department of Financial Services, he was holding the dual charge of Resident Commissioner of UP in Delhi as well as Chief Executive Officer, Greater Noida Development Authority. Smt. 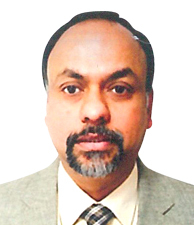 Soundara Kumar has joined as a Director on our Board w.e.f. 24th December, 2017 representing shareholders of the Bank for a period of -3- years. She has done her graduation in Mathematics from Stella Maris College, Chennai. 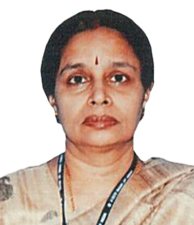 She joined State Bank of India as a Probationary Officer in 1975 and continued till her retirement in 2014. During this period she held various assignments including heading branches, SME, Retail and Rural & Agriculture (Financial Inclusion). She was also a faculty member in the Bank’s Training Centre, at Tiruchirapalli. She held the position of Regional Manager in the Chennai Circle and had control over -40- branches in the city. On promotion as Dy. General Manager, she was posted to Artesia branch in California as Senior Vice President. Later, she performed as President of the Bank’s fully owned subsidiary, State Bank of India (California) and CEO of the Los Angeles Agency of the Bank. 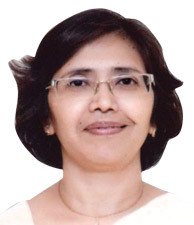 She was Managing Director of the Bank’s Associate, State Bank of Indore from October, 2008, where she successfully steered the merger of the Bank with the Parent Bank in 2010. Thereafter, she headed the Bangalore circle of the Bank overseeing the operations of over -400- branches across the state of Karnataka. She also held the position of Dy. Managing Director, in charge of Stressed Assets Management, in the Bank’s Corporate Centre, Mumbai, till her retirement in 2014. She also headed Wholesale Banking Credit Committee of the Bank at Corporate Centre, for over -3- years, evaluating high-value commercial credit proposals and was a permanent member of Corporate Centre Investment Committee and Credit Policies and Procedures Committee. She also served as member of RBI Working Group to recommend measures for scaling up the Business Correspondent (BC) model for Financial Inclusion. She was also a member of Core Group of Corporate Debt Restructuring mechanism set up by RBI. She also served as a nominee director of SBI on the Boards of ARCIL, CERSAI, SIDBI Venture Capital etc. Currently, she serves as Independent Director on the Boards of several Companies including listed Companies like TNPL, Ramco Cements, Shanti Gears etc. 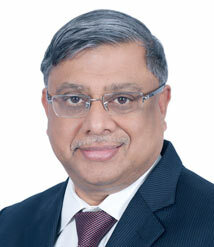 Mr. Srinivasan Sridhar joined our Board as a Director representing Shareholders of the Bank. His appointment is for a period of 3 years and is with effect from December 12, 2018. Mr. Sridhar is a B.Com(Hons.) graduate from Delhi University and is also a Chartered Accountant. Mr. Sridhar has been associated with a leading global management consulting firm since 2013. In this role he works with CEOs, Boards of Directors and other senior leaders of top Financial Services companies in the region on topics such as Management Strategy, Client Coverage Models, Product and Distribution Strategies, Cost Optimization etc. Mr. Sridhar is a financial services expert with over 30 years of experience gained internationally and in India. He was with Citigroup for 28 years and has worked in 6 countries across Asia, Africa and Europe. Some of the leadership positions he held with Citigroup included being CEO for three countries, Corporate Bank Head for India, Transaction Services Head for Africa and Bank Services Group Head for Central, Eastern Europe, Middle East and Africa. 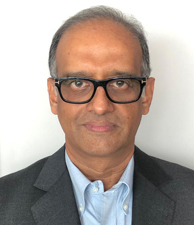 Mr. Sridhar brings deep banking experience and track record from around the globe in areas such as Corporate and Investment Banking, Product Management, Risk Management, Governance and Regulatory Compliance. Mr. Sridhar lives in Mumbai and is passionate about Bollywood, Football and Wildlife. The social causes that he cares about are child welfare, economic empowerment, education and health for the under-privileged.